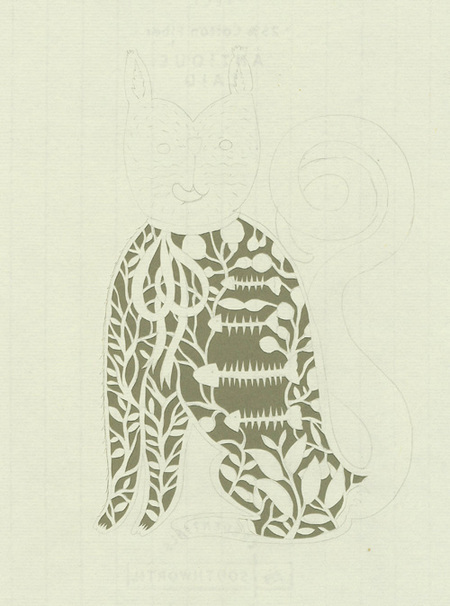 All About Paper Cutting: The Process. One of my favorite things about papercutting is that you don't need to get your hands dirty. The other thing that I love is the economy of materials. I basically use a knife, a self-healing cutting mat and paper. 1. I start up by drawing the design directly on the paper. Fot that I use a pencil and an eraser in case I need to correct the drawing. Once I'm happy with the drawing I am ready to start cutting. 2. Step by step I cut out all the spaces that need to be eliminated from the design. This part of the process is my favorite. I try to be as slow as possible. It's never about finishing fast but about enjoying the process. Cutting little pieces of paper is a relaxing activity, almost like meditation. 3. When I am done I sign the piece with pencil. 4. Then I glue the papercut on another paper that becomes the background. I do this by applying tiny drops of acid-free glue on the back of the papercut. Now the piece is ready to frame. 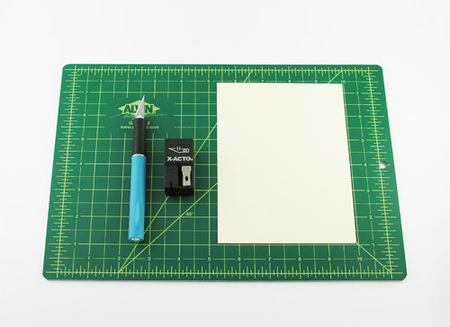 SELF-HEALING CUTTING MAT: is the green one in the picture, they come in different colors. These mats are made out of rubber that makes the cutting process very easy plus it protects the blades. I have more than one self-healing cutting mat: some are large, some are medium size and some small; the small ones are great to take with you when you travel. 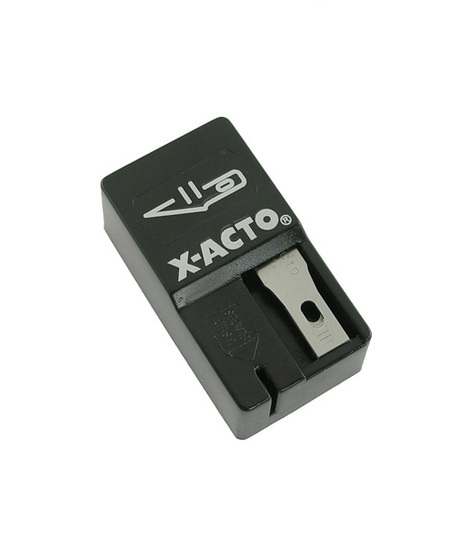 X-ACTO KNIFE: There are many types of knifes but I am partial to the X-ACTO brand. I prefer the ones with a nice handle covered with rubber. These knifes come in different colors and shapes. I replace the BLADES often in order to get clean cuts. In the picture you see this little plastic box that comes with 15 blades, very convenient. The right kind of blade for papercutting is the #11 because the tip is extremely sharp. The brand of the PENCIL and ERASER is not important to me at all, as long as it is a 2B pencil I will be happy. 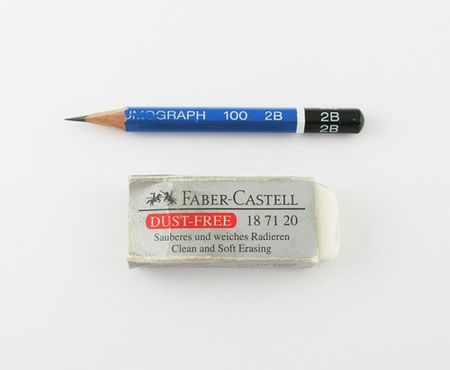 2B has a soft graphite but not too soft, just perfect. I use these two amigos a lot, I don't start cutting until I am completely happy with the design. Here is a picture of a special papercut. What is special about this piece is that I never finished it. The poor cat is trapped inside that paper forever. 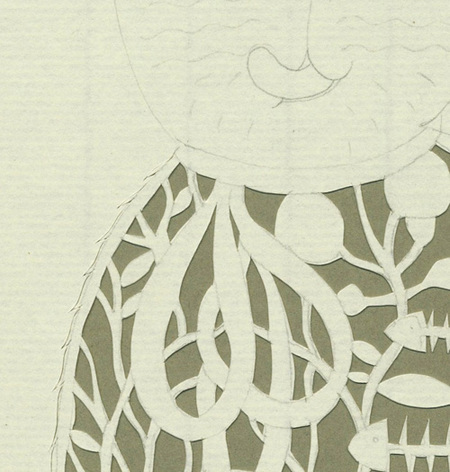 In this detail you can see how the back of a papercut looks. After I finish the piece I don't erase the pencil marks because that would destroy the paper plus it doesn't really matter because they're on the back. In terms of PAPER all I need to make sure is that it's acid-free for a long and healthy life. There are tons of acid-free papers available out there in all weights and colors.